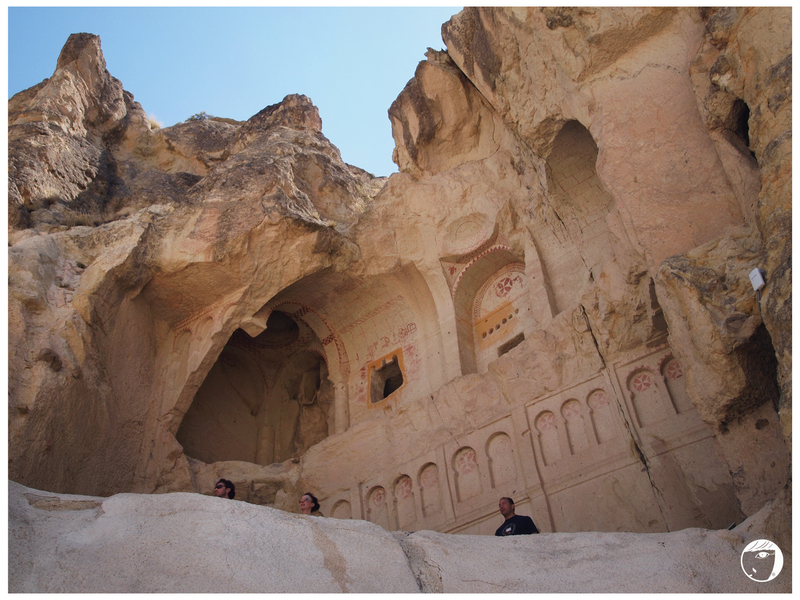 Once you reach Cappadocia, you will be welcomed by vast field and stone mountains. Many of them have holes carved on. Approximately 9 to 3 million years ago, these stones eroded because of the eruption of ancient volcanoes, into hundreds of spectacular pillars and minaret-like forms. 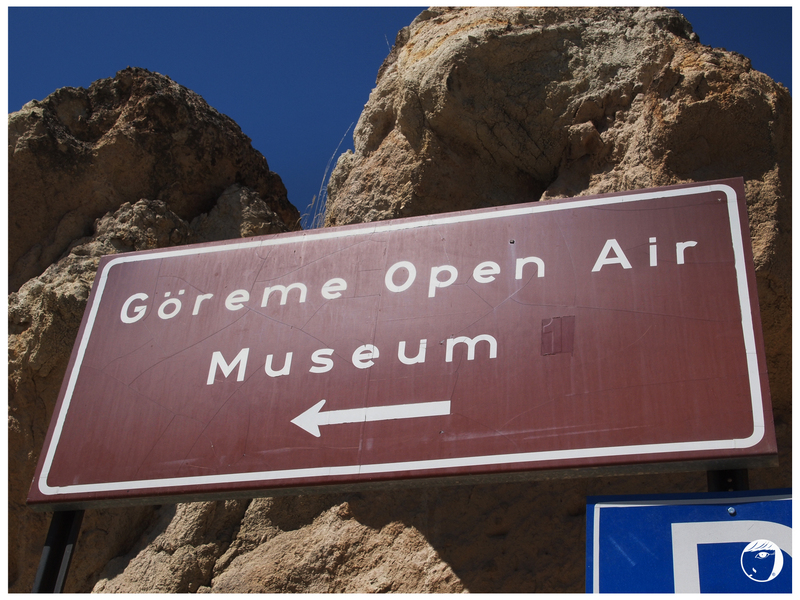 Goreme Open Air Museum or in Turkish “Göreme Açikhava Müzesi”, is one of the most important towns and destinations in Cappadocia. This outdoor museum which listed as one of the UNESCO World Heritage, contains the remains of many churches carved into the stones. Snake Church that shows Christ with a book in his hand, and images of Emperor Constantine and Helena. Next to it, there is St. Theodore and St. George killing the Snake. What amazing about the caves is the ways and means in which people of the 11th century used to live. Everything showed that there was a very sophisticated civilisation. Much of the rock in the area is sandstone (tufa) which is fairly soft, and for centuries rooms (and houses) have been created by cutting directly into the soft rock. 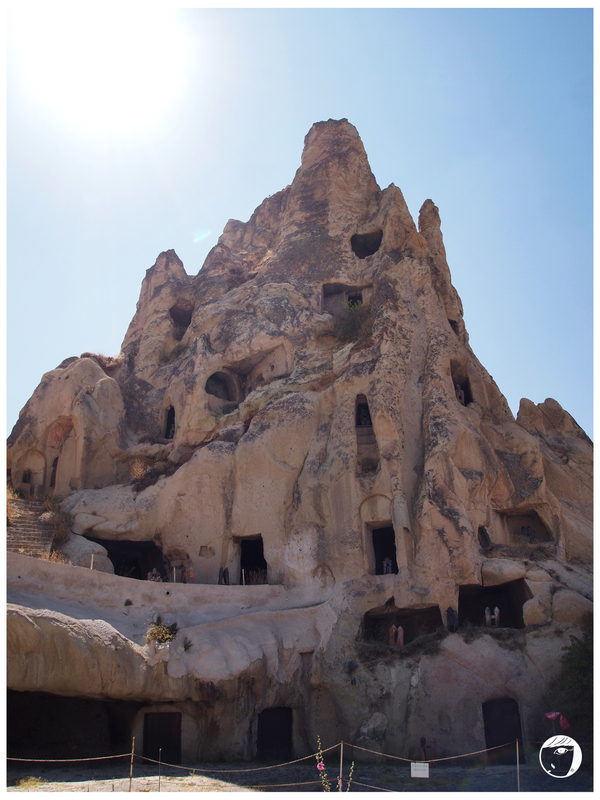 Many of the caves on the stones are transformed as hostels and hotels and offer the tourists the unusual experience of sleeping in a cave.